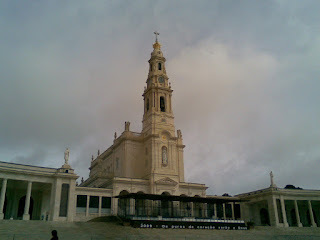 The large torch-light processions in honor of the Virgin Mary, which is organised in the evening, are particularly impressive. 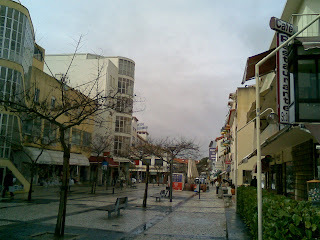 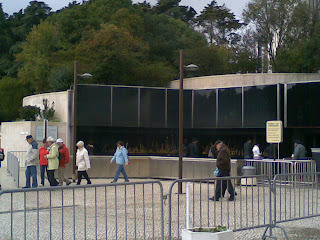 The pilgrims gather in the Cova, on a huge esplanade in which is built a little chapel where the Virgin is believed to have appeared to the children. 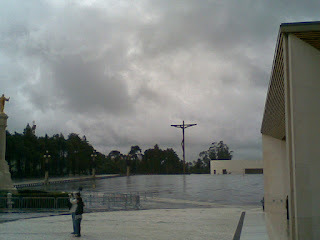 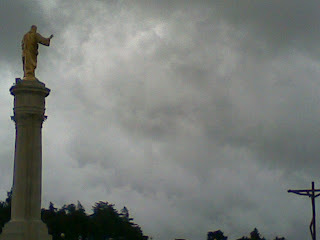 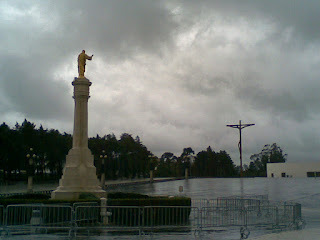 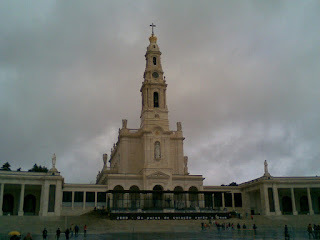 Fátima's claim to fame is the shrine called the Basilica, built to commemorate the events of 1917 when three peasant children claimed to have seen the "Virgin of the Rosary", Our Lady of Fátima. 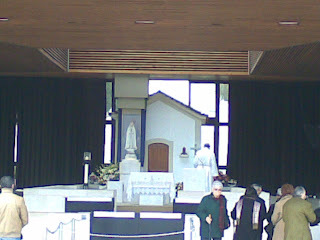 When the children asked for her name, she said "I am The Lady of The Rosary". 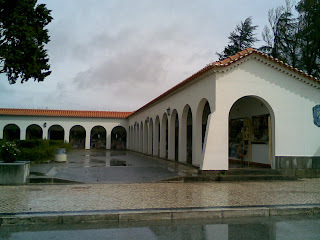 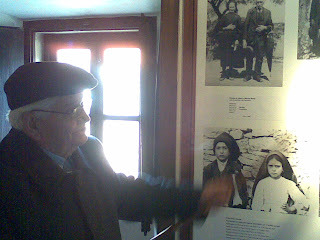 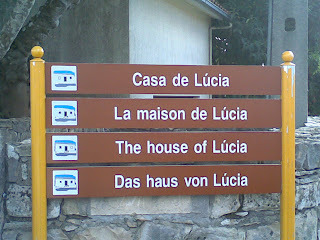 The children experienced the purported Marian apparitions in a pasture called the Cova da Iria.